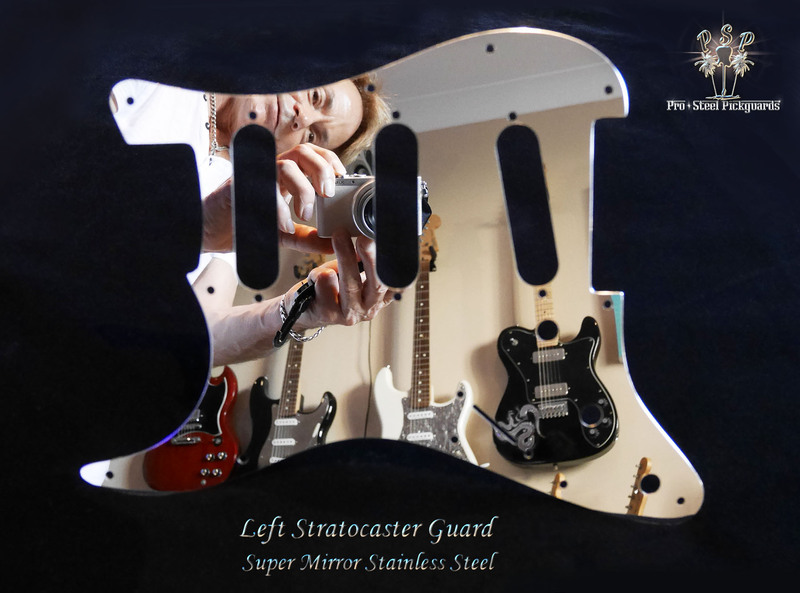 The classic fantastic, super chrome highly polished mirror in real deal stainless steel, for Lefty players. The guard does all the talking. Great with any knobs you choose. Polished to a very high mirror bling, non-magnetic stainless steel, 18% Chromium content, corrosion free. Edges rolled & polished. Mirror protected by an easy peel skin. Fits - Fits left hand genuine Fender USA & MiM Strats from 1986 to present. Any Strat that a current Fender Strat guard fits. Squier Strats: Will fit current left hand Squiers. If older than '86 there maybe 1 or 2 screw holes a little off center. That's usually no problem, the screws supplied will easily find a hole.